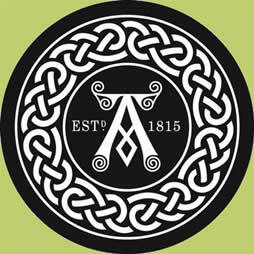 Ardbeg Whisky – Islay Single Malt Scotch Whisky, 10 Year Old, Non-Chill Filtered 46% Alc/vol. Well what took us so long to taste one of the Hebridian jewels. So Jim decided to give Nicola a call and have a special tasting. You will see from our Whisky Shelf we do have a few special Ardbegs. This is also a distillery that is a must visit to anyone who visits Islay, Jim visits on every trip. Jim is also a member of the Ardbeg Committee and would suggest everyone to become a member and be kept up to date with all things Ardbeg together with special one off bottlings that are only offered to Committee members. Colour…Very pale gold, almost Chardonay in colour. Nose…Sweet, smokey, peaty citrus fruit and chocolate toffee, what a burst to the nose, fantastic. Taste…Powerfully sweet and smooth and mellow but with flavour eruptions, ocean spray coated peat, tingles throughout, not for the faint hearted. Finish…Very long, peaty, peppery and the tingles continue. Nose…Beach barbie after the tide has come in. Taste…WOW heavy on the peat, but unusually smooth, tingles galore. Finish…Long smooth and mellow, a classic Ardbeg. No wonder this is many a Whisky drinkers all time favourite, it certainly is one of Jim’s. Nicola still getting to grips with the powerful Islay, but beginning to enjoy, Nicola will be tasting Serindipity next, look out for that tasting. Even if you are not a peat/smokey Whisky lover, please try and persivere as this is a joy to behold. Unlike Jim, but sometimes words can fail you, and to fully describe this dram, then I am lost. Jim cannot remember any time in the past that he did not have a bottle or two of Ardbeg in is cabinet, and he cannot envisage any time when there is no Ardbeg in the house. Remember visit the website and join the Committee and tell them the Whisky Boys asked you.